Did Fallout Shelter really only make $5.1 million during its peak weeks? 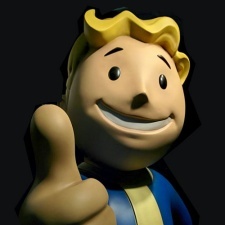 As everyone knows, Bethesda's Fallout Shelter has been one of the surprise hits of 2015. Launched during the company's E3 2015 press conference, it's risen to the top of the top grossing iOS charts in many western countries. Indeed, as our Charticle pointed out, the secondary surprise was how long the game - which has a maximum IAP spend of $20, no multiplayer, and which hasn't received any significant updates - has remained at the top of the charts. But how much money has the game actually made? Obviously, beating out Candy Crush Saga at the top of the US and UK iPhone charts for a couple of days would have been worth a couple of hundred thousand dollars. Clearly the game's generated millions of dollars, even if as a quick check of App Annie demonstrates that in the key markets, it's now well outside the top 100. One company is prepared to publicly state its view, though. Never backwards at coming up with predictions, Superdata states that Fallout Shelter made $5.1 million during its first two weeks. On the basis, and given its subsequent performance, we can safely predict it won't make $10 million, maybe plateauing out at around $7-8 million. Sure, that's a lot of money for a game that likely cost a couple of hundred thousand dollars to develop, but compared to the $3 million Candy Crush Saga can generate on a good day, not to mention its over $1 billion lifetime total, it's small beer. Indeed, as we argued in the case of Flappy Bird, compared to the hype and downloads, Fallout Shelter hasn't capitalised on its potential. Again, this comes down to a maximum IAP spend of $20, no multiplayer, and not receiving any significant updates.